Kilmarnock manager Lee McCulloch expects his former team-mate Jon Daly to quickly turn Hearts into a "different animal". Daly takes interim charge of Hearts for a second game at Rugby Park on Saturday after suffering a 4-1 defeat by Celtic days after Ian Cathro was sacked. McCulloch, whose own team suffered a heavy loss at Parkhead in midweek, believes little can be read into games against the champions. But he believes his former Rangers colleague Daly will now make his mark. "Having known Jon for all the years that I've known him, Hearts will be organised and they will play with a passion and an aggression," McCulloch said. "So it's something we are going to need to match to get something out the game. "Compared to last season, I think they will be a different animal under Jon Daly. "I was aware at the end of last season that people weren't happy. But watching them last week against Celtic, I don't think you can take anything out of that game because they are blowing everyone away at the moment. "I think we'll see Jon's mark on the team on Saturday. I really do believe it will be a lot different to what the Hearts fans have been used to." Daly caused a stir at Parkhead when he hit back at Brendan Rodgers following the Celtic manager's comments about Cathro's tenure and the club's recruitment policy. "I have only been in the dressing room with Jon as a player and Jon always spoke his mind," McCulloch said. "Jon's a winner and it looks like he is continuing to do that." 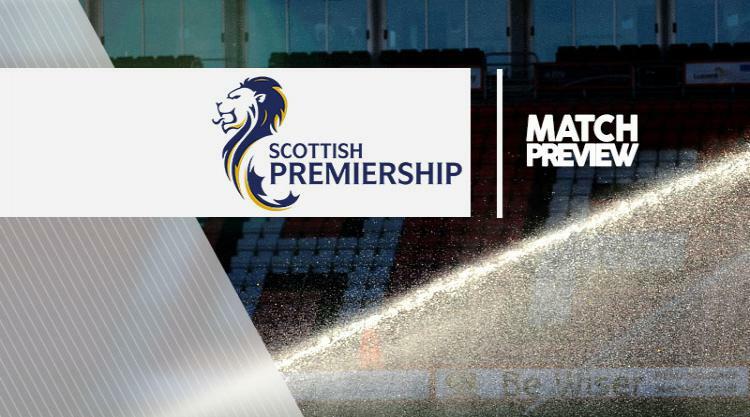 Killie are aiming for their first points after a home defeat by St Johnstone and McCulloch is looking firmly ahead following their Betfred Cup exit at Celtic Park. "We got beat 5-0 and it could have been more, so we have just tried to blank it out and kick on for the Hearts game," he said. Kilmarnock have doubts over Iain Wilson (knee) and Dom Thomas (hamstring). Steven Smith (groin), Gary Dicker (stomach), Greg Kiltie (ankle) and Scott Boyd (knock) remain out. Meanwhile, Hearts defender John Souttar admits he felt huge frustration as he watched helplessly while former mentor Cathro struggled to get results. Souttar suffered a ruptured Achilles in January, six weeks after the arrival of Cathro as head coach. The 20-year-old had come through the Dundee United youth academy when Cathro was in charge and their reunion was cut short when the former Valencia and Newcastle coach was sacked two games into Souttar's comeback. The Scotland Under-21 international said: "That was a big frustration for myself that I couldn't really help him at all. Even when I did play the few games, I was coming back from injury, so I wasn't myself. "It was a frustrating time in general but that was one of the major frustrations for me, that I was not able to help the team at that point." Souttar did not get much chance to measure whether Cathro's methods might have been successful in the long run but he pointed to another serious injury, to Callum Paterson, as evidence that events had conspired against the young coach. "I was injured for a long time so I wasn't on the training pitch as much as the other boys so they are better speaking about that one," he said. "But losing big Cal was the biggest one for me, he was flying at the time and losing his goals and presence in any squad would have been a blow." Souttar is confident Cathro will bounce back. "Everyone has setbacks in football, a lot of the top managers and players have had setbacks in their career and sometimes it can change them for the better and you learn stuff. He is still young so I am sure he will (bounce back). "Everyone is disappointed it never worked out. When he came in there was a lot of press around it and a big whirlwind and unfortunately it never worked out. "Us as players have got a part to play in that, and so has everyone, for it not working. "Everyone is disappointed but you can't look too much in the past. It is done, we have got to look forward and we can't dwell on it." Jamie Walker is back in the Hearts squad having missed the last two games amid interest from Rangers, but Daly has decided he is ready to play again. Full-back Liam Smith is available again after suspension.